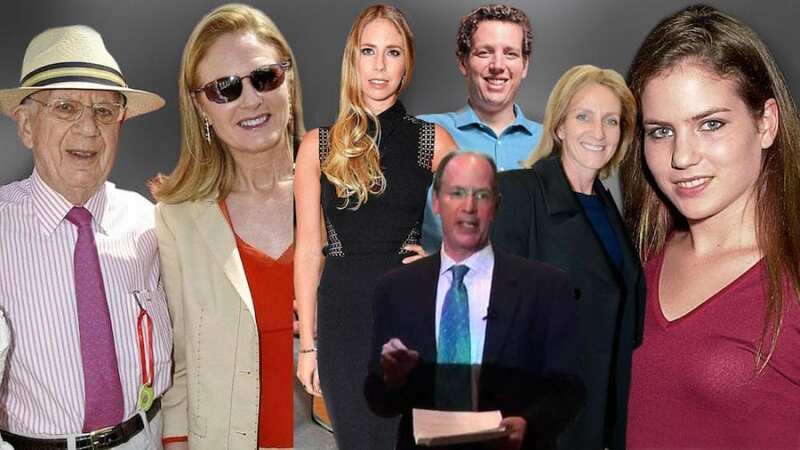 It's been a bad couple weeks for the Sackler family. A very bad couple weeks. First, 500 cities, counties and Native American tribes filed suit against the Sackler-owned Purdue Pharma, the company behind all their vast wealth. Next, two of London's leading museums -- The Tate Modern and The National Portrait Gallery -- turned down the family's annual million-dollar donations. Then Purdue was ordered to pay Oklahoma $270 million. Now New York State has expended its own lawsuit to include the Sacklers themselves. Why? Because Purdue Pharma makes OxyContin, that's why. And for decades the drug giant marketed the potent painkiller as a less addictive alternative to morphine and other analgesics. All the world now knows that's not even remotely true. In fact, we've got the dead bodies to prove it. Want proof? Just ask the Centers for Disease Control and Prevention (CDC). Their reports indicate that more than 702,000 Americans died from drug overdoses from 1999 to 2017. Even worse, about 10% of them died in 2017 alone. And while fentanyl-laced heroin is proving to be the culprit behind many of those deaths, 218,000 of them reportedly stem directly from prescription pain pills. The rest of those who overdosed would never have been near heroin, let alone fentanyl had they not first gotten addicted to prescription painkillers such as OxyContin in the first place. All of the above comes after 1600 lawsuits against opioid makers were consolidated by a federal court in Ohio. In fact, U.S. District Court Judge Dan A. Polster, who sits on the bench in the Northern District of Ohio Eastern Division in Cleveland, not only refused a motion from drug companies to dismiss the multi-district lawsuit, but he did so by issuing a rather strongly-worded ruling. Okay, so Judge Polster stopped short of directly blaming either Purdue Pharma or the Sacklers for the opioid epidemic. Then again, he couldn't very well do so when the suits are still pending. On the other hand, a group called PAIN Sackler is under no such restrictions. And they've no qualms about both blaming and shaming the drug maker or the billionaire family. Organized by renowned American photographer Nan Goldin to address the opioid crisis, PAIN Sackler is a collection of artists, activists and people dealing with addiction who are directly targeting the Sackler family for manufacturing and pushing OxyContin. The outfit employs direct action as a platform for their demands, and it's doing so in the many museums and universities that carry the Sackler family's name. PAIN Sackler's highest profile direct action to date was a "die-in" at New York's Guggenheim Museum. The protest first consisted of draping the institution's iconic spiral staircase with shame-provoking banners and littering the rotunda's floor with fake Oxy prescriptions and corpses. It then segued into a march down Museum Mile to hold court on the steps of the fabled Metropolitan Museum of Art. Protesting at either of the landmark institutions would've made for a newsmaking event. Protesting at both ensured the group's shots were heard clear around the world. Of course it didn't hurt that the protests were being spearheaded by Nan Goldin herself. See, Goldin's not only a globally-celebrated artist; she's also an opioid addiction survivor. She even said so in writing. "I SURVIVED THE OPIOID CRISIS," Goldin write in ArtForum. "I narrowly escaped. I went from the darkness and ran full speed into The World. I was isolated, but I realized I wasn’t alone. When I got out of treatment I became absorbed in reports of addicts dropping dead from my drug, OxyContin." "I learned that the Sackler family, whose name I knew from museums and galleries, were responsible for the epidemic," she continues. "This family formulated, marketed, and distributed OxyContin. I decided to make the private public by calling them to task. My first action is to publish personal photographs from my own history." Goldin also threatened to cancel her show at the UK's National Portrait Gallery if the institution accepted any more Sackler money. The London institution promptly acquiesced. So did The Guggenheim, which had received $9 million from the family between 1995 and 2015. Elizabeth Sackler says her branch of the family did not participate in or benefit from the sale of narcotics. And, to be fair, the historian and arts activist's branch of the Sackler family tree was indeed severed when her father Arthur died in 1987, a full nine years before OxyContin's debut. There doesn't seem to be any plans to remove her name from the Brooklyn Museum's Elizabeth A. Sackler Center for Feminist Art either. At least as of this writing anyway. However, the branches that run the Sackler Trust and the Mortimer and Theresa Sackler Foundation do seem to be directly linked to the Oxy billions. Sure, those branches have vehemently denied any complicity in creating the opioid epidemic. They've also recently suspended their charitable giving. The reason? They didn't want their largesse to be a "distraction." But distraction it is, and distraction it likely will be for a long time coming. And even though the Sackler family chipped in $70 million of their own money to pay Purdue Pharma's $270 million groundbreaking settlement with Oklahoma, it's unlikely the Oxy billionaires will be able to ever buy their way out of trouble. Heck, by the time all is said and done and paid, the Sackler family might just want a good taste of their own pain-killing medicine. Whatever the case, let's just hope a good chunk of that ill-gotten Sackler money goes to getting opioid addicts some good help. They not only need it; they also deserve it. If you or your loved one is having trouble with opioids or other substances, please give us a call. We're here to help. This entry was posted in Blog and tagged ArtForum, Brooklyn Museum, CDC, Centers for Disease Control and Prevention, Guggenheim Museum, Massachusetts, Metropolitan Museum of Art, Nan Goldin, National Portrait Gallery, New York State, Oklahoma, Opioid Epidemic, opioid epidemic lawsuit, Oxycontin, PAIN Sackler, prescription painkillers, Purdue Pharma, Sackler Family, Tate Modern. Bookmark the permalink.